Thanks for your purchase of one of our numerous plugins. To Install a plugin you need to login to your website WordPress admin area. After you are logged in, click on “Plugins > Add New” from the left hand menu. Click on the “Upload” option, then click “Choose File” to select the zip file that contains the plugin that you downloaded in your Purchase Receipt email from your computer. Once you have selected the file, press “OK” and press the “Install Now” button. Once the plugin has been installed click on “Activate Plugin” to Activate the plugin. NB: You can always login to your account area to re-download your purchased plugins. Every plugin purchased on TunsPress comes with a license key, this license key allows you to receive automatic update to the plugin right from your WordPress admin area. NB: A license key is only valid for use on one site only and it is valid for life. 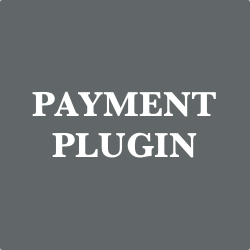 The license key to your purchased plugin is included in the Purchase Receipt email that is sent to you once payment has been verified. You can also get your license key by visiting the Account Area. After installing and activating one of our plugins, you will see a new sub- menu “Plugin License” under the Plugin menu. Click on this sub-menu to visit the Plugin License Page. Once you are on this page, enter your “License key” and click on the “Save changes” button. After clicking on the save changes button, a button will show “Activate License“, click on this button to activate the License key for use on your site. From now on, you will receive automatic update to the plugin right from your WordPress admin area. If you have any issues installing any our plugins, get in touch with us by clicking on the Support link.